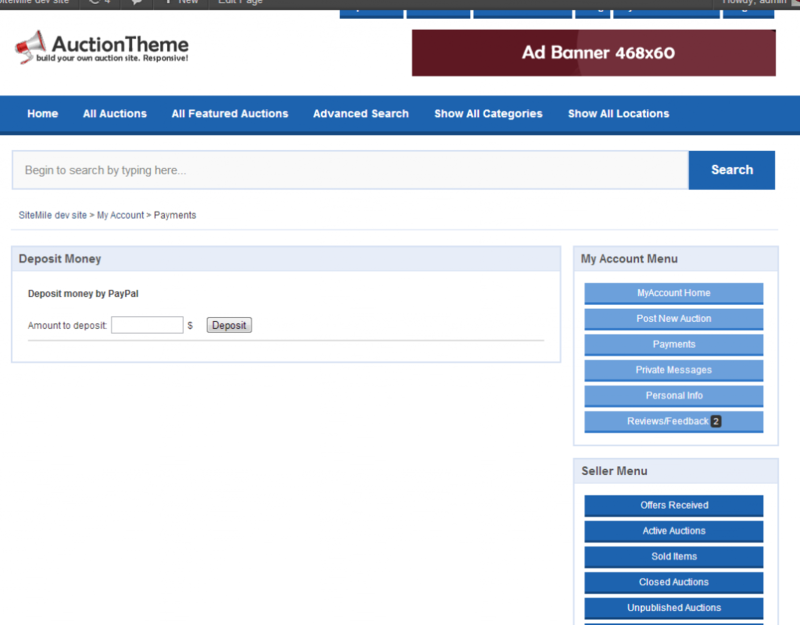 This post will explain very detailed how the credits or e-wallet system works in our love theme, the Auction Theme. We will also describe a few scenarios how this system can be used or totally disabled if not needed. What is a e-wallet system/credit system ? The e-wallet system in our auction theme is a virtual currency account. Each user has its own account or balance. Normally the virtual currency can be used as real currency (as thats what it is ultimately) and can be used to pay for listing an item, for paying for items and for escrows. How is user funding his balance? The user can use the deposit function to fund his e-wallet account. 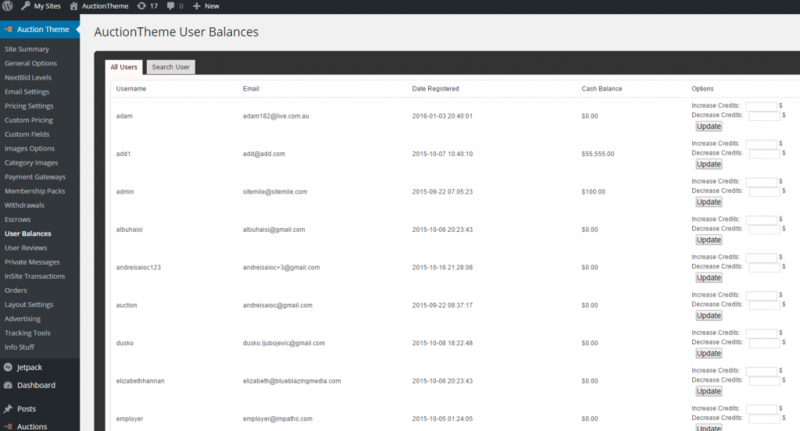 Basically this feature allows the user to input a fixed amount in his account area and deposit it. He is offered various payment methods (like PayPal, Skrill, Offline Banking or others) from he can choose, and pay for the amount. The actual money goes into site owner’s PayPal account, or bank account (or any other integrated custom payment system). For this the user will get the same amount in his website e-wallet system which he can use to pay for the goods. What does the user do with his balance? At the end of the month (or whatever fixed period) or when a certain amount of money has been gathered into buyer’s account, the user can request a withdrawal from the site owner. They can do through PayPal or bank account or any other payment system the site owner will have at disposal (its up to you, the site owner, to offer how many methods you want or permitted by your legislation in your country). After the withdrawal request is received, the admin processes that manually, and mark the request as solved, and then the requested amount is wiped out from the e-wallet balance of that user. What is escrow and how is it used? The escrow system works with e-wallet/credits balance. Same way as you would pay directly, but lets say user1 posts a book for sale. Then user2 will buy the book, and pay the credits into escrow. This means that user1 wont get the money until the user1 will ship the book. After receiving the book, user2 will release the escrow money, and user1 will be able to request withdrawal for their money. Thats pretty much it. Can this system be turned off? Yes this whole system can be totally turned off from admin side, and users (buyers and sellers) pay each other directly into PayPal, or other means, like bank, or cash, etc.